Dipto Shimanto Pilkhana Job Circular 2018 has been published in daily newspaper and to get from the best jobs circular news and info website in jobs.lekhaporabd.com. 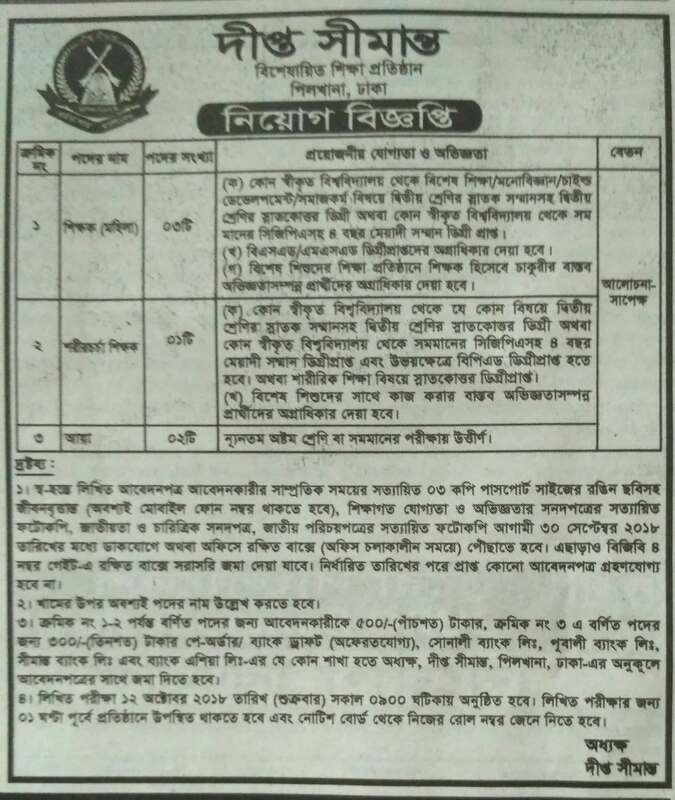 Recently the Dipto Shimanto authority looking various positions job holder for their department empty vacancy.If you think you are the qualified person for this position after that to submit your application by maintain their requirements. Dipto Shimanto Pilkhana Job Circular 2018 has been given below. Dipto Shimanto offer to people for exciting career opportunities. Education qualification’s is too much important for this job. Anyone,can take this opportunity. Dipto Shimanto job circular 2018 has been converted to an image file,so that everyone can read easily or download this job circular. If you want to apply for this job,you should submit your application within 28 February 2018. Dipto Shimanto Pilkhana Job Circular 2018 has been given bellow.